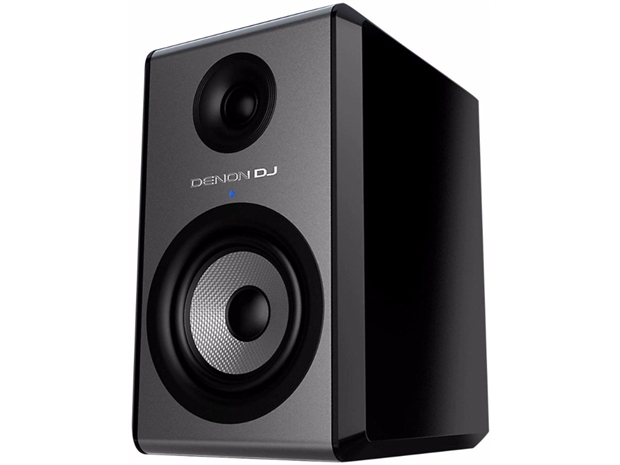 The Denon DJ SM50 is an active reference monitor, sold individually, with 90W of bi-amplified power driving a 5.25" woofer and 1.5" silk dome tweeter. The frequency response is very large for a monitor of this size, extending from 50-20kHz, ensuring that the full spectrum of music is heard. This monitor excels in providing clean, powerful musical reproduction with minimal distortion - perfect for DJ's or producers that want to hear every aspect of their mix. 90W bi-amplified Class AB amp (50/40W LF/HF). 135mm woofer, 38.1mm sild dome tweeter. Inputs: XLR, balanced 1/2" TRS and RCA. Controls: "proximity control" tailors low-end response to your room. Volume and high, mid and low EQ controls enable customisation of sound.